Up to 7 landowners at no additional cost! 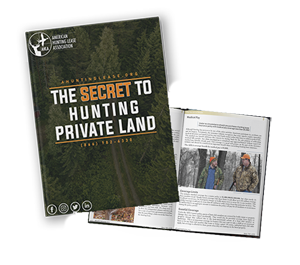 When you purchase hunting lease insurance through the AHLA you can use our hunting lease template for Free. You can even tailor it to fit your specific needs. We know you have options for your Hunt Club Insurance . Our policy is rated A++ by A.M. Best. You won't find better coverage for the price and we offer the easiest application process available. American Hunting Lease Association defends the rights of landowners and hunters when the hunting lease concept is attacked. Leasing companies, insurance agents and others use our affiliate program to generate extra revenue. Find out more.